perfect for a fishing trip! Great amount for feeding pets! Our Super Red Worm is the “Big Brother” of the red worm. AKA- The European NightCrawler! It grows to the length of 4-5 inchs long and is very active. 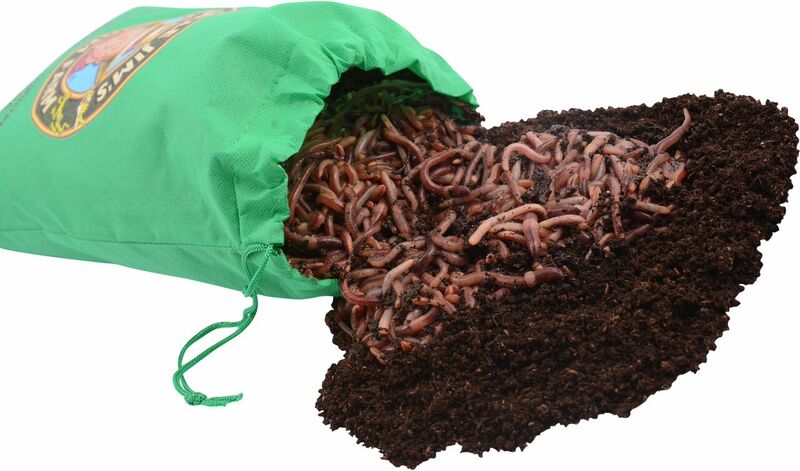 It makes a great composting worms but its forte is being added to lawn and garden soils. 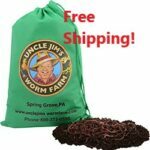 Its a very strong worm and specializes in aeration and fertilization of the soil. The tunnels it burrows allows water and other nutrients to reach the root systems of your lawn and gardens. Proper aeration of soil guarantees excellent root growth and strength. This worm populates quick and is also excellent for fishing. A “Can’t go Wrong” Worm! NOTE TO BAIT SHOPS and FISHERMEN- we ship out our worms bed run. 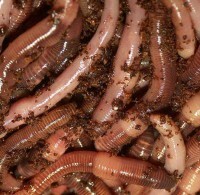 There will be an even mix of mature and non-mature worms. 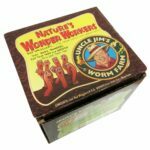 We can not guarantee all bait size worms upon delivery. Within 6 weeks, all worms will be mature. USPS or FedEx 2-3 Day Delivery- $5.25 for first unit. $3.00 shipping cost for each additional unit ordered. 4. Why should I order from you over the other guys? They were in great condition on arrival. I put them into the grow bags right away where they are living happily today. Process was simple, easy and pain-free. Noticed the soil level rising almost immediately upon adding them.